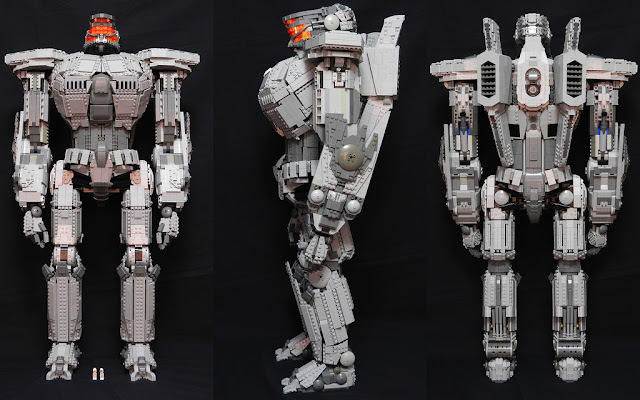 Striker Eureka mech from the movie Pacific Rim is built and shared by Sci-fi master builder Jason Corlett who is also the builder of the great mech Cherno Alpha. The mech stands at 2' 8" tall and 18" wide from shoulder to shoulder. It tooks roughly 86 hours to build and includes more than 5000 pieces. Striker is Micro-Fig scale. Texturing ad shaping of this MOC is great and it resembles to the original model very much.